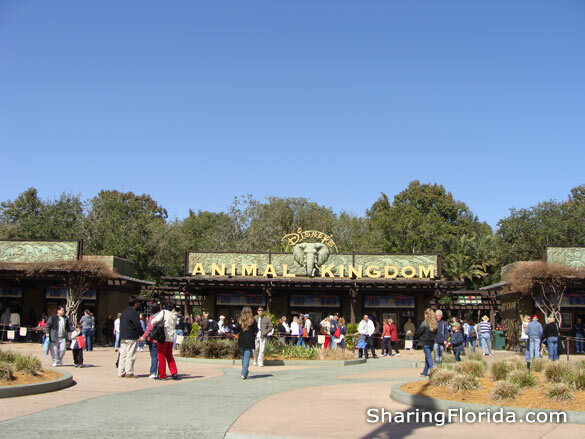 There is an entrance area which does not require you to pay a theme park entrance fee. 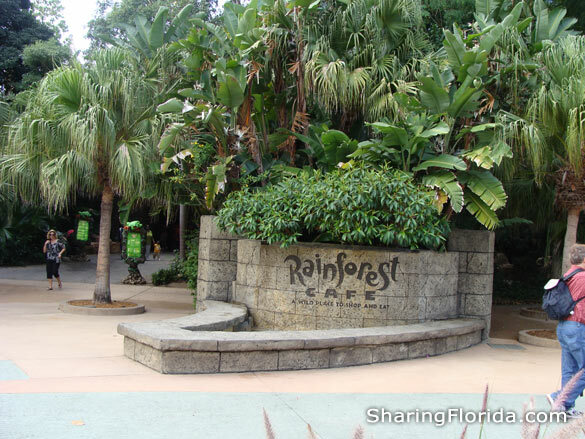 There is also a Rainforest Cafe in Downtown Disney. This is the Rainforest Cafe inside the Animal Kingdom. 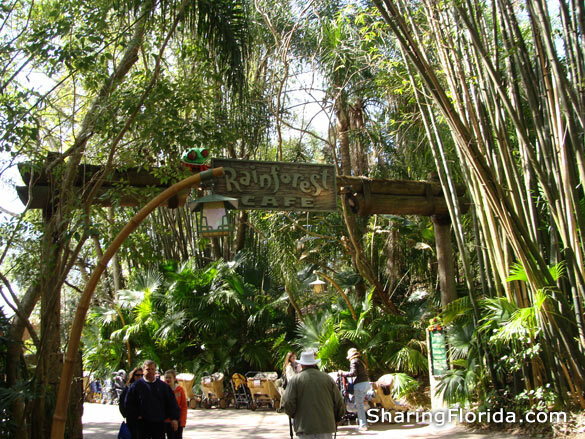 There is an entrance area which does not require you to pay a theme park entrance fee. 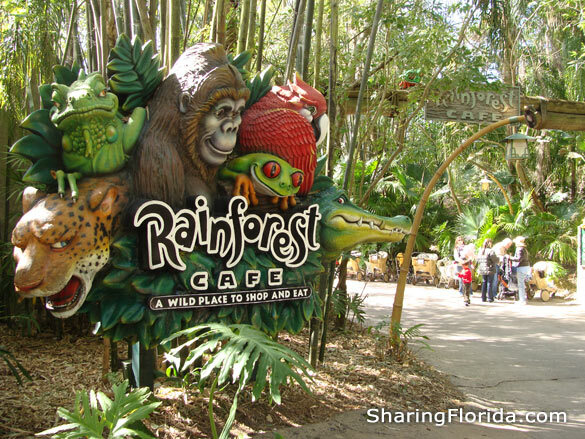 There is also a Rainforest Cafe in Downtown Disney.